The NLD must send out a clear message to the people now. If they want to participate in the elections or not. We are all listening. This is a very important time for our country and the NLD is a very important party for us. In the 1990 elections almost everyone voted for them. Now all people and monks are listening and waiting what message the NLD will give to us. They need to give a clear message about how we should act now. If we hear their message we can follow them. NLD should lead the people. It is not for monks to lead in politics. We only support the people who are suffering. The monks can not change the political system, only a political party can do that. Also Daw Aung San Suu Kyi and U Win Tin should give out a clear message to the people now. If we can not participate in the upcoming elections because of this unjust law we should demonstrate against it! Like this Daw Aung San Suu Kyi should say to the people, now is the time to demonstrate against this law. This is no law under international standards. 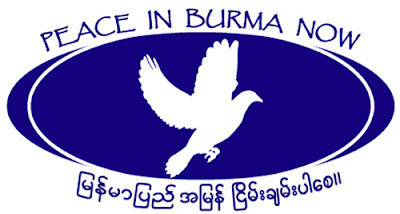 It was written especially to stop the NLD and Daw Aung San Suu Kyi from participating in the elections. If NLD and Aung San Suu Kyi dont give out a clear message now, we must loose. If they do we must win. Many monks and people will follow them. Because the people are suffering. They do not have enough money for food. They are in a very very difficult situation. They are waiting for someone they can follow.